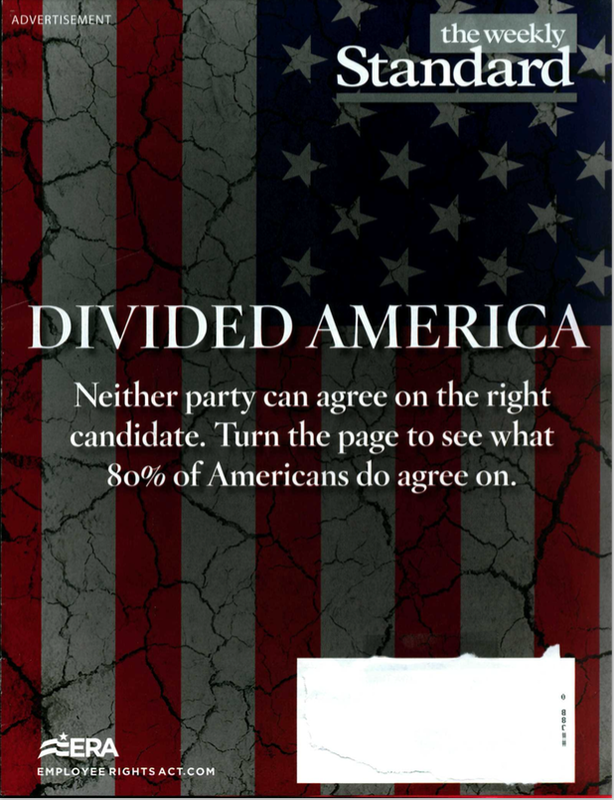 The Weekly Standard Pimps Out Its Cover and Writers – Again! This is getting to be a habit, no? As the hardworking staff has repeatedly noted, The Weekly Standard has lately become a marketing chippy for its owner Philip Anschutz, who also owns Xanterra Parks & Resorts. The Weekly Standard has taken to pimping out its editorial content and its writers to Xanterra Parks & Resorts, the major concessionaire at U.S. National Parks. At that point, we sent an email to Weekly Standard editor William Kristol, who has of course not deigned to respond to us. 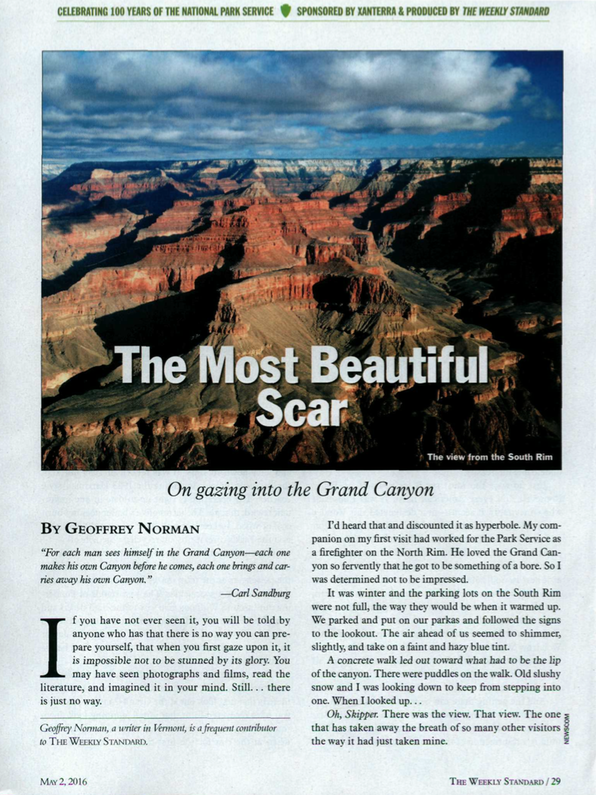 So this time we’re emailing Geoffrey Norman, whose work we greatly admire but who has been knee-deep in this aditorial series, having written about Death Valley, Zion National Park, and, in this latest edition, the Grand Canyon. It’s impossible to describe the majesty of it. The mix of colors on the opposite side, the great depth that the Colorado River has carved through the stone walls, down into the earth’s vitals, the play of light and shadow. The sheer, undeniable immensity. Just no way. You must see it for yourself, as Teddy Roosevelt said every American must. 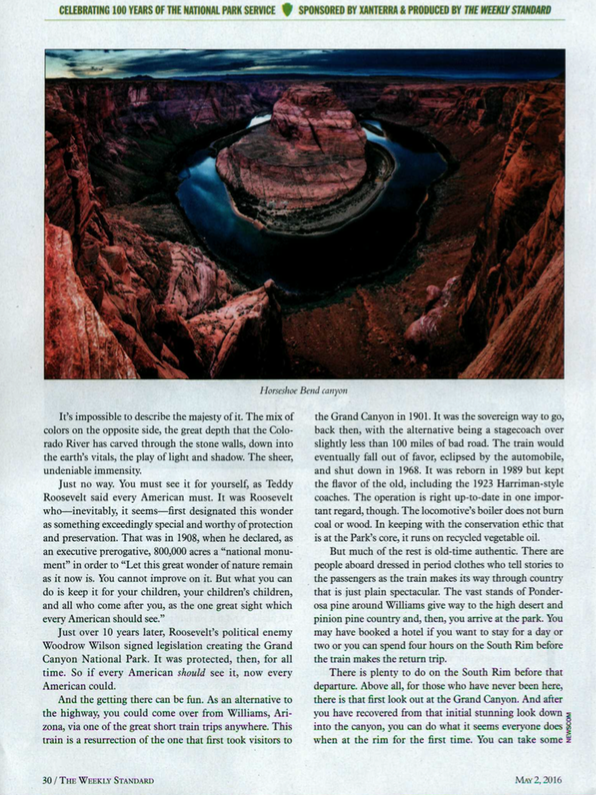 Don’t get us wrong: This is a terrific piece that nicely captures the grandeur of the Grand Canyon. But in the end it’s marketing material, not editorial content. [We] greatly admire your work and have learned a tremendous amount from your Weekly Standard pieces about both the Civil War and World War I. 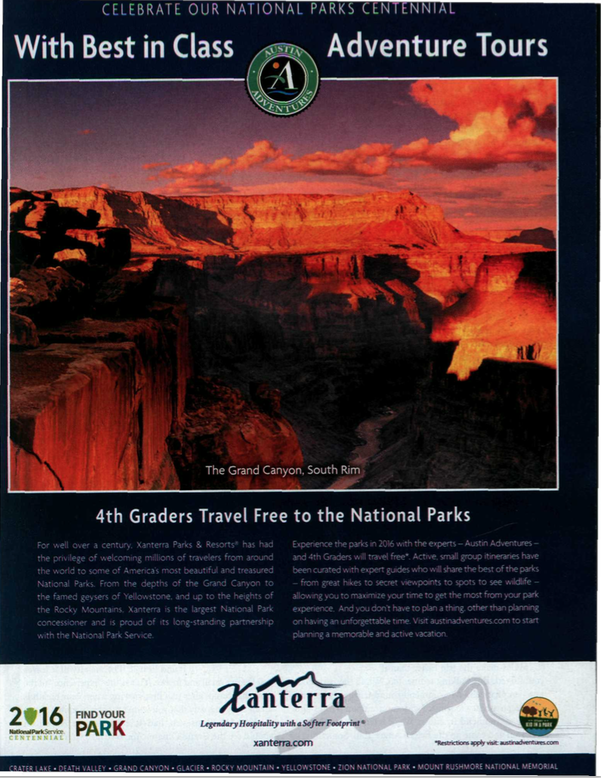 But your recent pieces for the magazine’s celebration of the National Parks Service (which are excellent in their own right) make [us] wonder: Are you comfortable producing what is essentially marketing material masquerading as editorial content? We’ll let you know if he gets back to us. Meanwhile, in the same edition, The Weekly Standard also leased out its front cover, just as it did two months ago. This time the buyer was the execrable corporate gunsel Rick Berman, whose Employee Rights Act front group has been for months exploiting the legacy of Jackie Robinson in its campaign to suppress increases in the minimum wage. The stealth marketing effort was a four-page wraparound but we’ll omit the other three, lest we do Berman’s dirty work for him. Regardless, our beef isn’t really with Berman who, like the scorpion, does what he does. Our beef is with The Weekly Standard, of which we are a charter subscriber and from which we expect better. Or at least used to. This entry was posted in Uncategorized and tagged A Park Called Zion, aditorial, Aesop's Fables, Berman Exposed, Black Hills, Campaign Outsider, Center for Union Facts, Center for Union Whatever, Death Valley Days, Employee Rights Act, Geoffrey Norman, Getty Images, Grand Canyon, Jackie Robinson, James Bowers, Joseph Bottum, Mitchell Blatt, Mount Rushmore, NewsBusters, Philip Anschutz, Rick Berman, Sneak ADtack, the field of the lowered, The Most Beautiful Scar, the scorpion and the frog, The Weekly Standard, William Kristol, Xanterra Parks & Resorts. Bookmark the permalink.